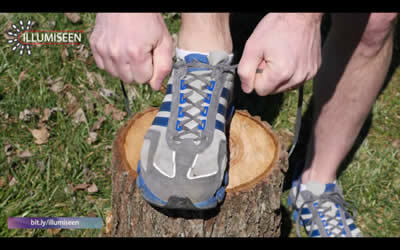 Ever Wondered Why Is There An Extra Shoelace Hole On Your Running Shoes? Here’s Why. 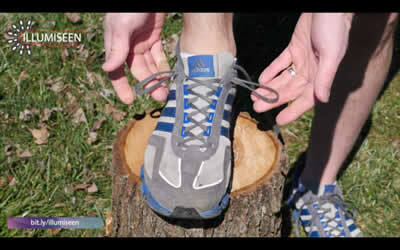 Have you ever wondered why there is an extra shoelace hole at the top of your shoe? 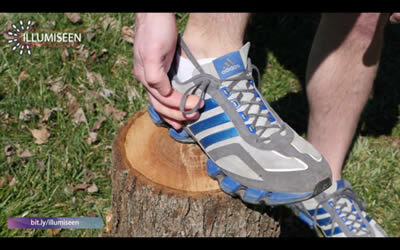 Almost all running shoes have an extra hole, usually found behind and underneath the last hole that almost no one uses. Well, the extra shoelace hole actually has a totally legit purpose. It is there to stop your feet slipping forward in your shoes while you run and prevent blisters. People get blisters on their feet while walking on a tough terrain. The main reasons attributed to this irritating skin problem are sensitive skin and the constant rubbing of feet with the fabric of the shoe. These blisters can be prevented easily by tying the extra holes in the form of a “lace lock” or a “heel lock”, this will keep the foot properly seated in the back of the shoe, leaving room for the toes up front. 1. Lace up your shoes as normal. 2. Then, slip the laces over and in to the holes at the edge to create loops on each side of your shoe. 3. 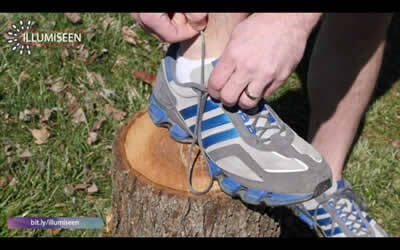 Now, cross your laces and insert them into the loop on the other side. 4. Finally, pull your laces tight and tie the knot as usual to finish the ‘lace lock’ or ‘heel lock’. This strong binding creates additional friction between the laces. The shoe is held nice and tight without having the need to tight all of the shoelaces, and hence it prevents the toes and heels from smashing into the ends of the shoe.